The most common objection that we hear regarding a condominium association’s reluctance to becoming approved with FHA is that they don’t want FHA loans and “those” buyers moving in. Because of this, we have done research to find if this objection has any merit. Actually, it doesn’t. Why is Loan Performance Important? A condominium association’s budget is funded through the collection of common charges from the unit owners. It is obviously a high priority to make sure that the association can do everything in its power to welcome unit owners who will pay their monthly assessments. Otherwise, it could place stress on the rest of the association to make up for the shortfall. One method that associations are employing is to not obtain an FHA condo approval. They believe that FHA borrowers are more likely to default on the payment of their monthly fees and/or their mortgage loans. One gauge of this is to monitor the historical loan performance numbers of the programs. History is a decent indicator of future performance and is how mortgage loan providers determine their qualifying criteria. So, we did some research into the performance of FHA loans. 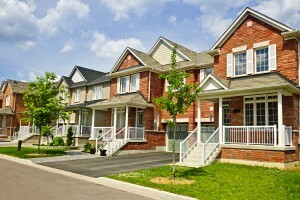 How do FHA Condominium Loans Perform? Condominium loans are the best overall performing loans in FHA’s portfolio and have the second lowest in-foreclosure rate among the different types of FHA loans. The majority of FHA borrowers have scores of 660 or better and that more than 25% have scores at or above 720. The delinquency rates associated with credit scores are intuitive: the lower the scores, the higher the delinquency rate. What Does This Mean for Condominiums? Most people inherently know that FHA’s “sweet spot”, so to speak, is in the $50,000 to $200,000 range. 73% of all active FHA loans are in this group. 48% are in the range of $100,000 to $200,000 range. Interestingly, the delinquency rates incrementally decrease as the loan amounts increase. First-time home buyers make up a large portion of condominium unit purchases. 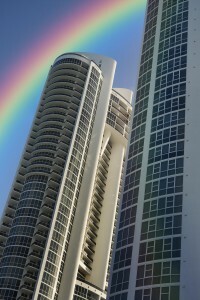 Condos are attractive to first-time buyers due to the lack of required exterior maintenance. It is a great stepping stone into home ownership. As shown above, first-time buyers have the lowest in foreclosure rate in FHA’s portfolio. With the unveiling of FHA’s new pricing incentives for first-time buyers who complete homeowner education classes, we would only expect to see this improve. How Does this Compare to “Conventional” aka Fannie Mae Loans? Fannie Mae’s numbers aren’t easily digested and it doesn’t break down the loan performance of the different types, such as condominiums, single-family, multi-family, etc. Therefore we can only look at Fannie’s overall performance numbers. Fannie Mae’s default rate is more than 150% higher than FHA’s in-foreclosure rate. That may sound like two different criteria, but it’s not. Anything over 180 days delinquent is deemed a foreclosure to Fannie Mae (and other credit providers). Fannie and FHA use different terms, but they mean the same thing. That may have come as a surprise to many because the average credit score of Fannie Mae borrowers is just north of 760. This should go to show that a borrower is more than just a credit score number. Posted in FHA Condo Approvals and tagged fha condo approval, fha delinquency rates, fha loan performance.